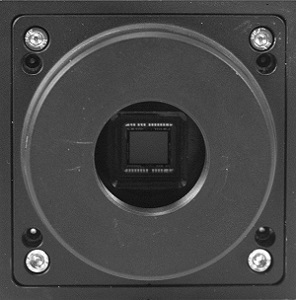 AMT’s XR50 TEM camera is equipped with a retracting side-mount or mid-mount, a large format sensor with 5 megapixels, and a high performance lens. XR50S-A side-mount is a wide-angle configuration with approximately 100% photographic field-of-view imaging. The side-mount camera is fixed on a 35mm port. XR50M-A mid-mount is a multi-purpose configuration with approximately 30% of the photographic field-of-view imaging. On optical aspects, the camera has high speed and high resolution finite conjugate AMT "A -Lens" with low f-number, which provides excellent sensitivity and unmatched sharpness. The lens has distortion below 1% in the field of view.